Additional Notes: Nutritional facts are only for the mix. 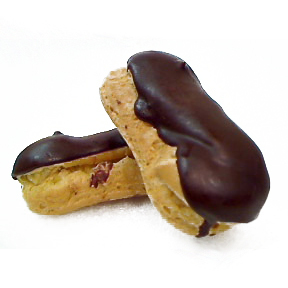 They do not include any necessary additional ingredients such as eggs or butter. 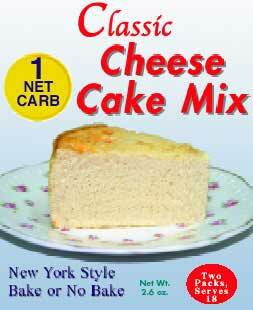 Dixie Diner Cheese Cake Mix is a classic new york style bake or no bake low carb baking mix. All natural, no artificial ingredients, and no preservatives. From Dixie:"All natural, so rich and simple to make. Both baked and no baked versions are delicious! 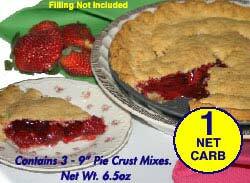 Just add cream cheese and eggs for baked version, or whipping cream and cream cheese for no bake version. 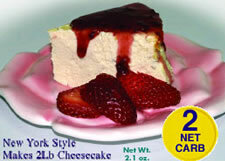 Each inner pack makes 1 - 7"" springform cheesecake pan cheesecake (or simply use an 8"" or 9"" layer cake pan). 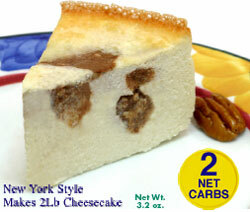 Makes 9 - 1 net carb serving cheesecake pieces that rival any high carb one you've ever had! All Natural."